President Rodrigo Duterte has signed his 26th executive order (EO) on nationwide smoking ban. 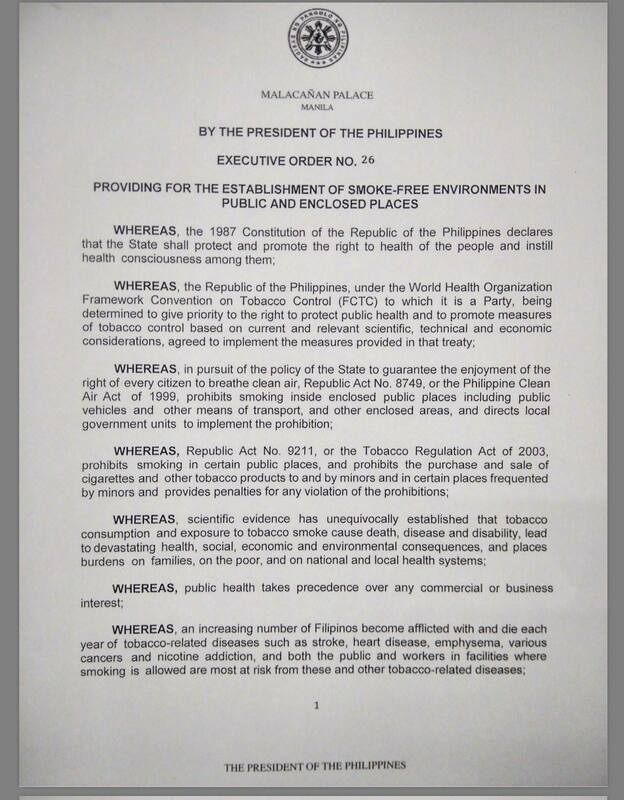 The signing of the executive order has been confirmed by Presidential spokesperson Ernesto Abella and Health Secretary Paulyn Ubial- which according to her has been signed May 16, Tuesday. 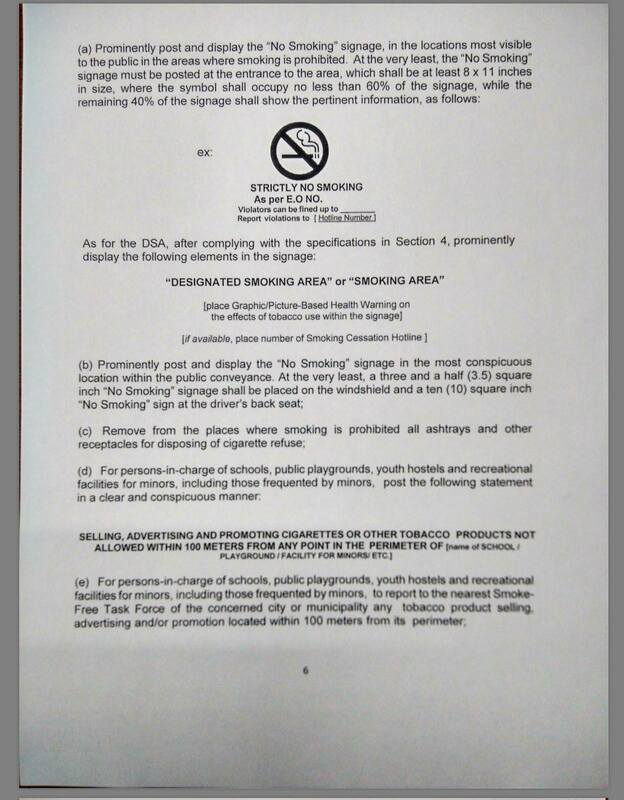 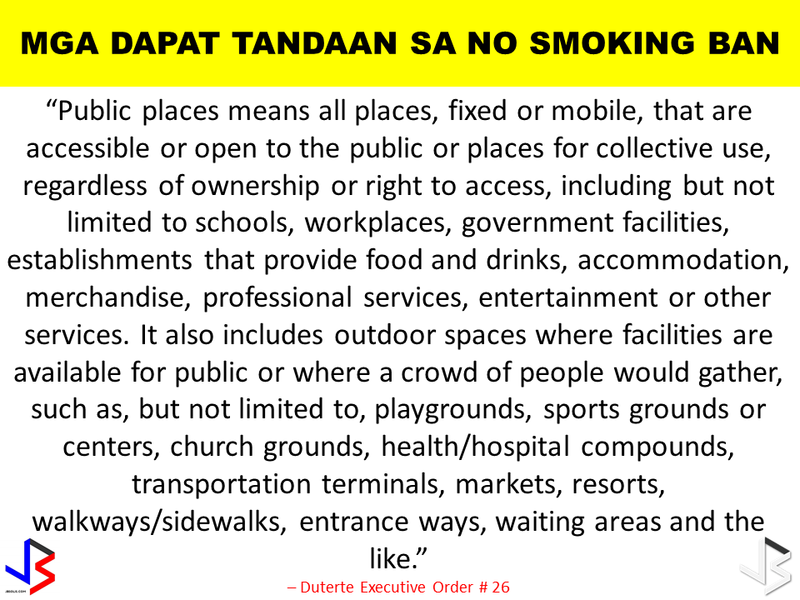 In Manila, when the smoking ban was implemented, smokers are no longer allowed to smoke in public places. 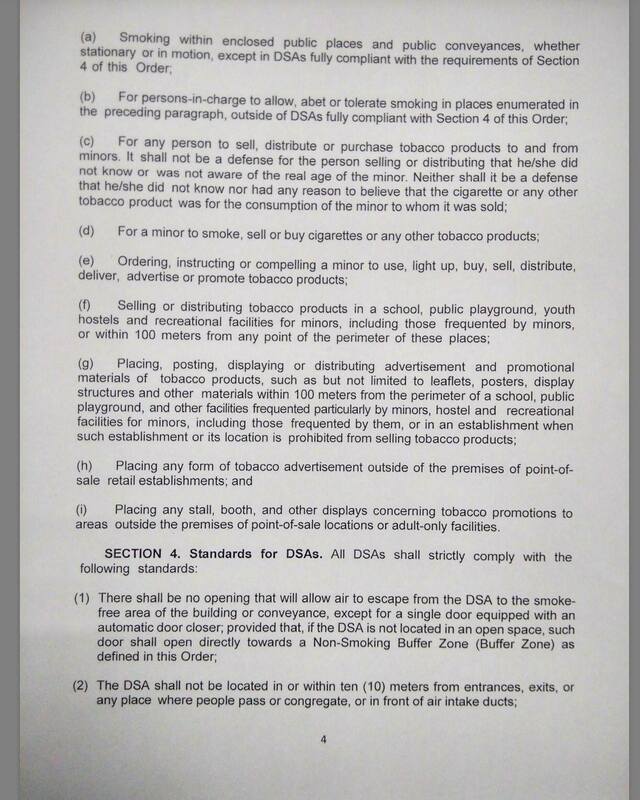 However there will be designated places where they could go and smoke. 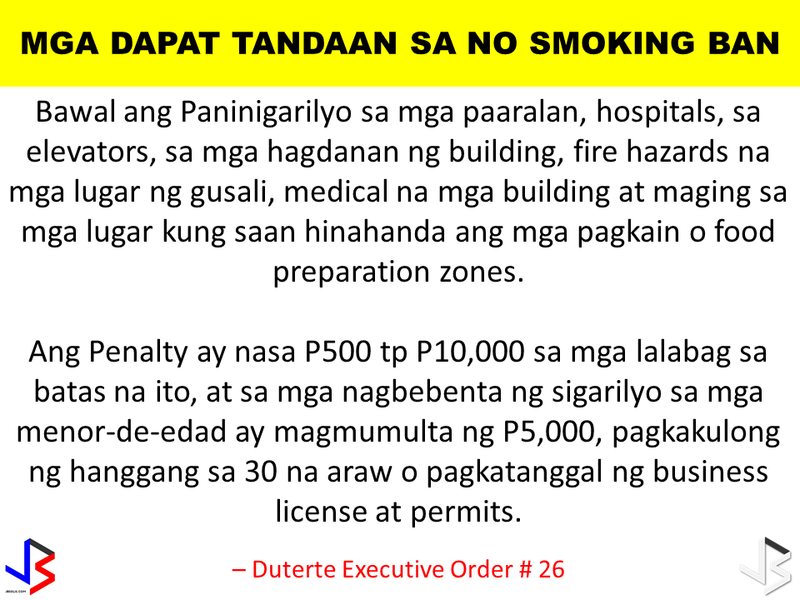 Those who violate were given ticket/ fined by the MMDA. 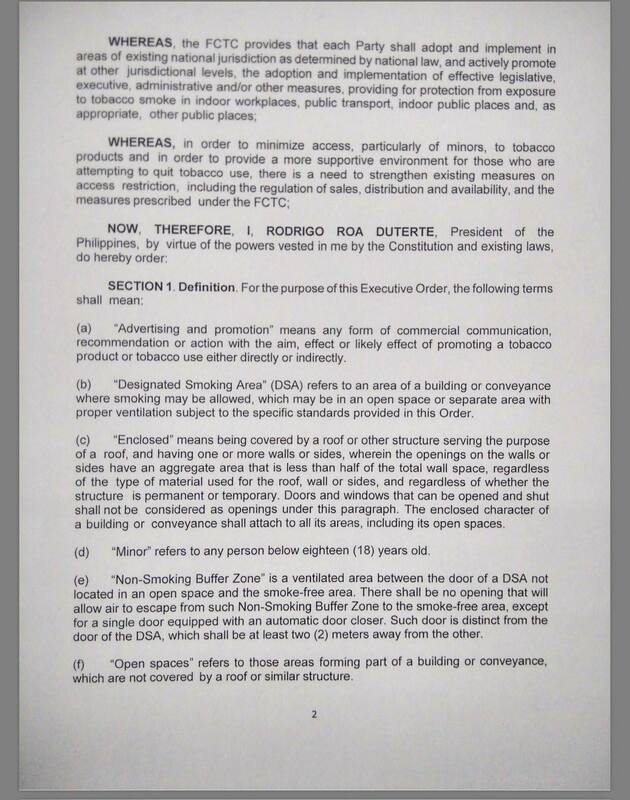 In Manila, the smoking ban has already been implemented. 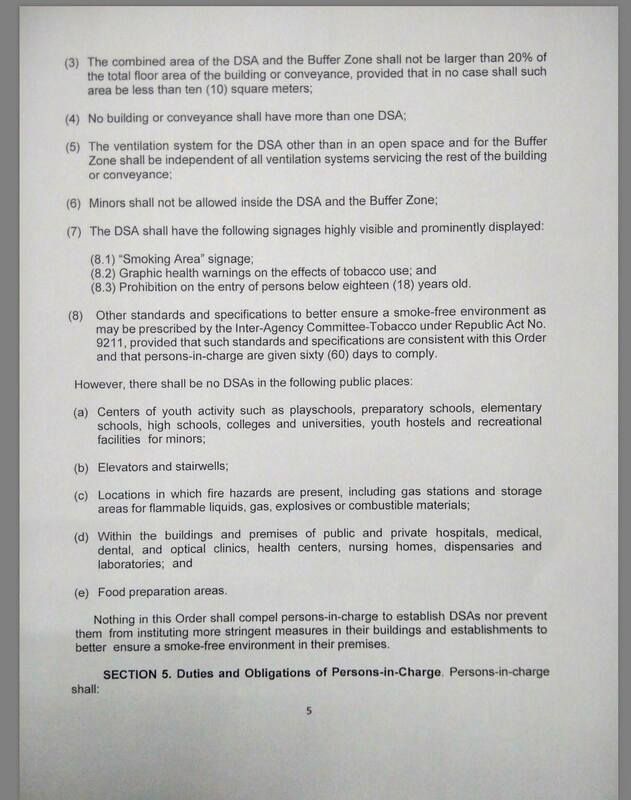 Below is a copy of the executive order signed by Pres. 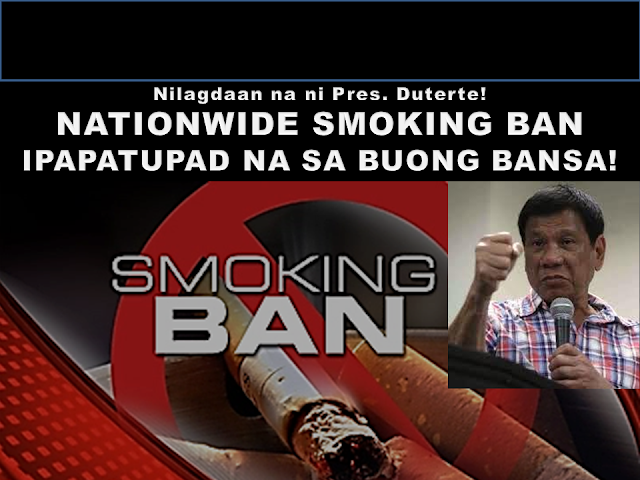 Duterte. 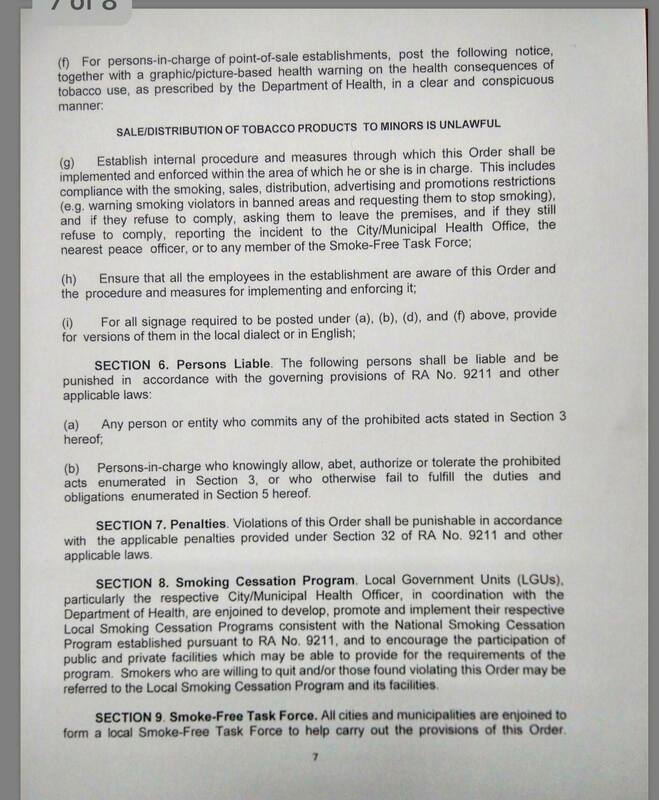 Also included in the ban are e-cigarettes or Vape devices. 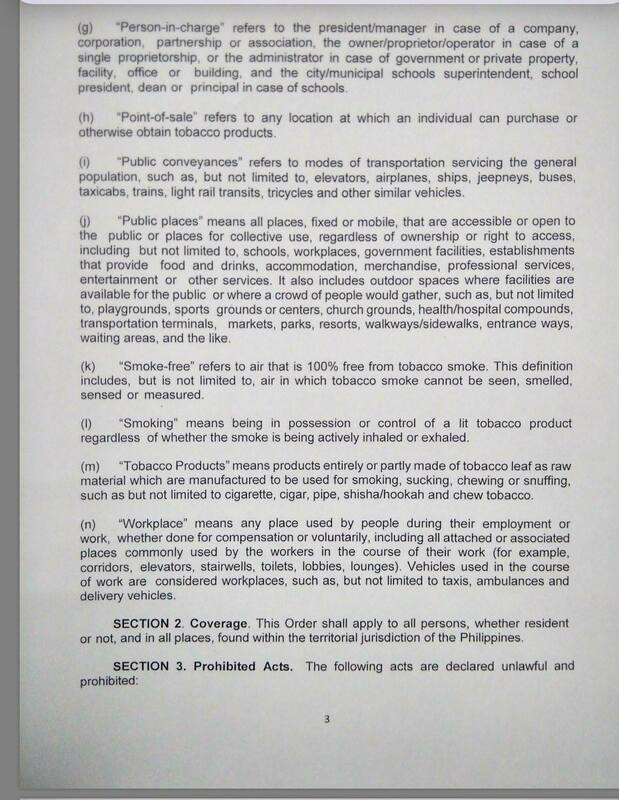 List of POEA Approved Jobs You Can Apply to Malaysia and China!